Ashland Post 77 defeated Somerset in game 1 of the state tournament 16 to 2 on Saturday July 22nd, which meant for the Sunday July 23rd game they earned a date with District 5 for Newton under the lights at Fino. Post 77 lost to Newton both times they played them this season. Post 77 trailed 5-0 until the bottom of the 4th in which they went on a 7 run rally. Ashland Post 77 takes them down by a final of 10 to 8 and improves their record to 2 and 0 in the state tournament and most importantly stays in the winners bracket. Post 77 next meets up with Braintree on Tuesday July 25th. 7:30pm at fino field in Milford under the lights. Jake Obid went 2 for 4 at the plate, had a walk a couple rbi’s and a run scored. 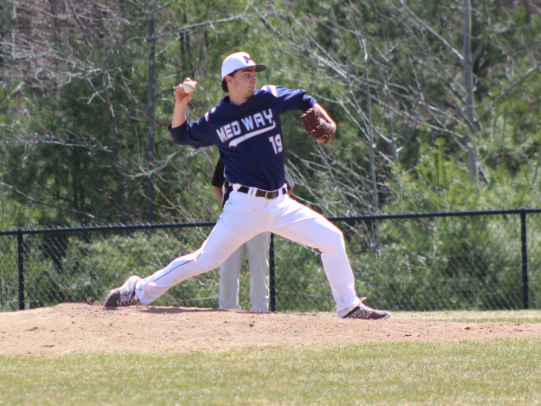 He also pitched 7 and a third, striking out 8 and battled through a tough Newton lineup. He was all smiles and so happy to capture the W against the division 5 rival. View highlights and postgame interviews below!